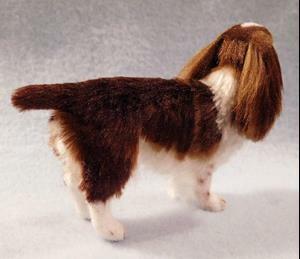 I usually depict an English Springer Spaniel with a full tail but this time I went with the breed standard and did the docked tail. 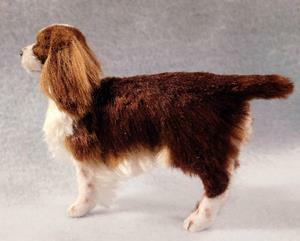 In any case, this is one of my favorite breeds to create! I first carefully sculpted him in polymer clay, painted the details with acrylic and applied the various shades of silk fiber to achieve his rich liver coat. I made the eyes in a separate process and cured them directly into the sculpture. I'll send an original digitally signed certificate of authenticity that may be verified on the ebsq site. 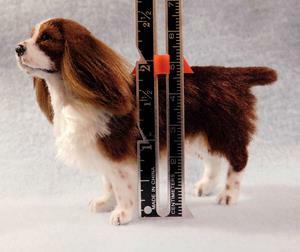 This would make a great addition to your original dollhouse or Springer Spaniel collection!